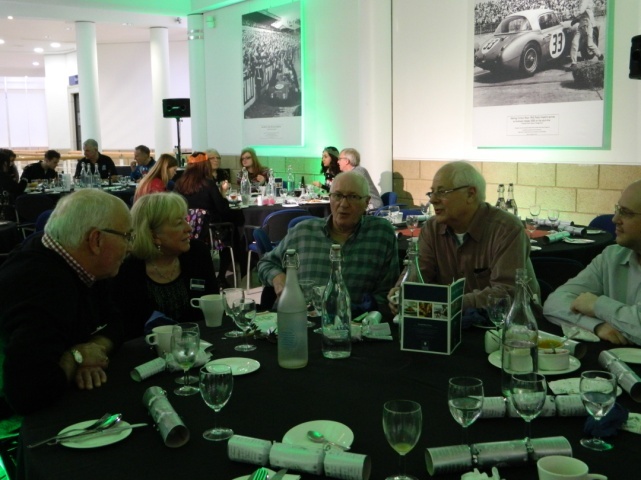 Our last blog of 2015 ended with the news that the Heritage Motor Centre (HMC) was about to close for a complete £1 million refurbishment. 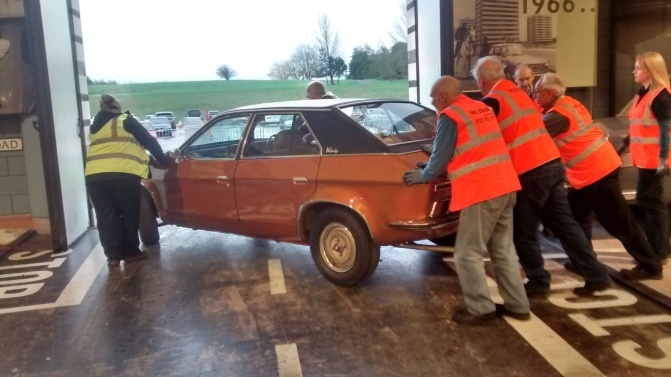 Furthermore, when it reopens in February it will have a new name, the British Motor Museum , which along with the new Collections Centre, will house nearly 400 British-built vehicles from 1896 to the present day. As usual the volunteers have played their part in all this exciting activity. The change in name, the new logo and refurbishment plans were announced to the press on 13th November at the NEC Classic Car Show. Three different volunteers helped man the Museum's stand throughout each day of the show providing information on all the forthcoming changes. The HMC closed its doors on 1st December and straightaway the task of removing all the existing vehicles and exhibits was started. The call for volunteer help was made and within three days an enthusiastic group of volunteers assisted the Museum's workshop staff in completely clearing the main Museum floor space. Unfortunately none of us got the chance to move the McLaren MP4-12C, the Aston Martins or other exotica, but one of us did get the chance to pedal out the Sinclair C5! 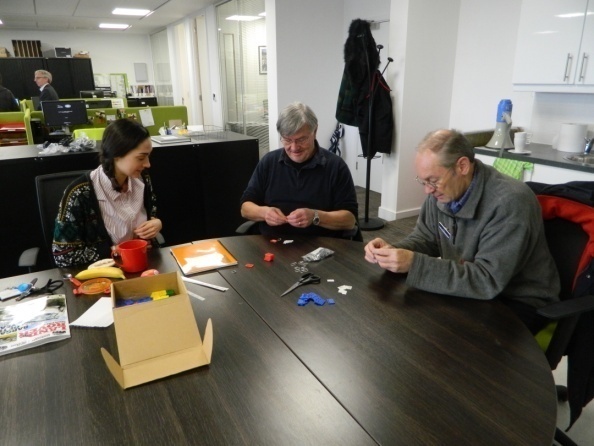 Another task we were asked to assist with was - ignition key sorting and numbering. As you can no doubt imagine, with a large collection of vehicles, also comes an even larger selection of ignition, door, boot, filler cap and glove box keys. Large bags of them in fact. Not the work of a moment this, but soon a huge, well labelled and documented collection of keys will make the curator's life a whole lot easier. The year was rounded off for us when we were invited to join the staff for their Christmas lunch. It was another chance for the volunteers, especially our new intake, to get together again. 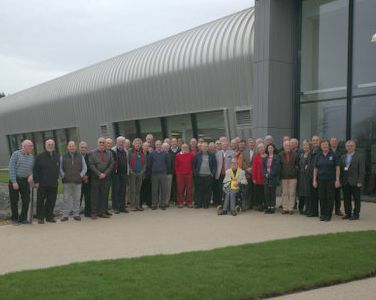 The opportunity was also taken to get an up-to-date photo of us all outside the new Collections Centre. Work is now well underway on the Museum's refurbishment and from a quick peep through the windows, it already looks quite different and exciting. The widened approach drive was completed before Christmas and the new Museum entrance area is starting to take shape. Exciting times. 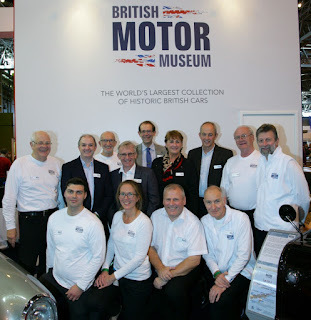 The reopening date is 13th February and further information can be found on the Museum's new website www.britishmotormuseum.co.uk or by following on Twitter @BMMuseum. Also by clicking on "View my complete profile" to the right of this page you now have access to the Blogger profile.